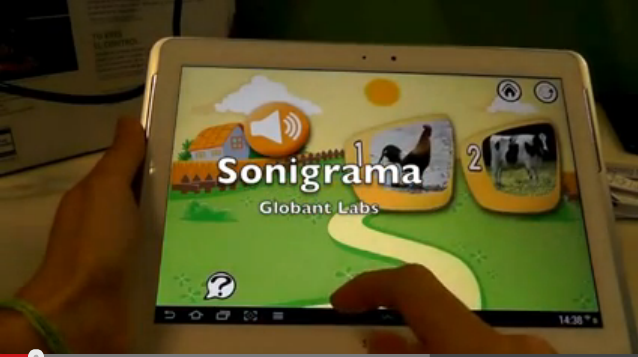 [Labs] Sonigrama: Watch, Listen & Learn. 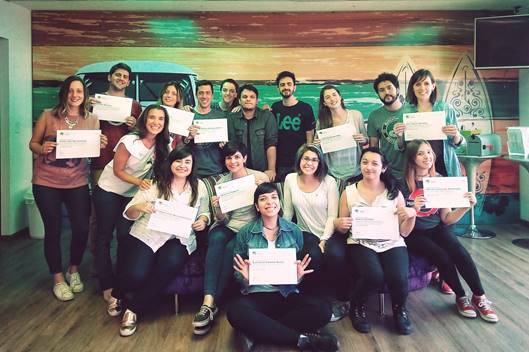 The application was developed as part of the DANE* project for digital inclusion for people with special needs, sponsored by ASDRA (Down Syndrome Association of the Argentine Republic). Its main goal is to develop software applications that integrates mental and conceptual models into learning models in order to encourage knowledge acquisition using digital tools. 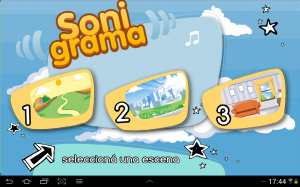 Sonigrama, an Android app, stimulates visual attention and sound recognition. The app uses attractive scenarios (farm, transportation and home) to allow children with special needs to learn in a user-friendly way while also developing skills in tablet usage. The app was developed using JAVA for compatibility with Android tablets. The library used was Libgdx, a multi-platform library which exposes an API that wraps all calls to OpenGL according to the hardware that the game is running on. (*) The DANE project was recognized as the most innovative project in education for people with intellectual disabilities, during the III Iberoamerican Congress on Down Syndrome in Monterrey, Mexico. An agreement was reached to extend this project to Mexico, Spain, Venezuela and Costa Rica. ← [Labs] PeopleTracker, people and object tracking.